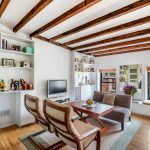 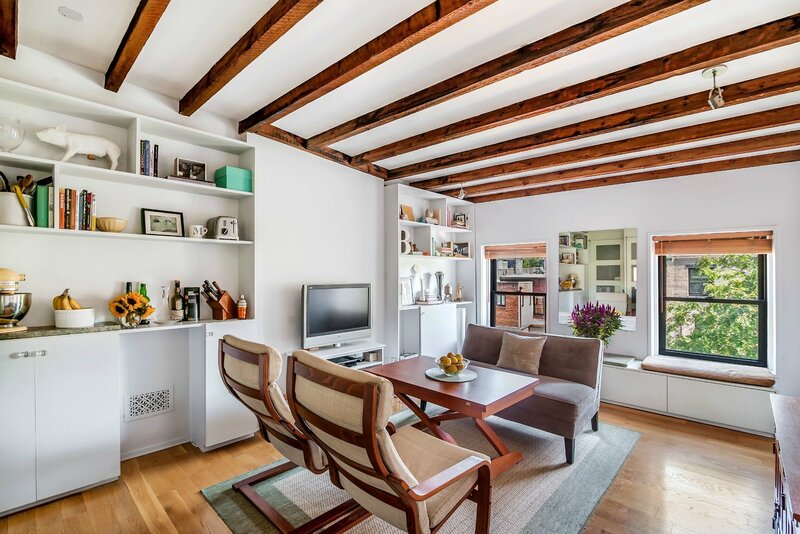 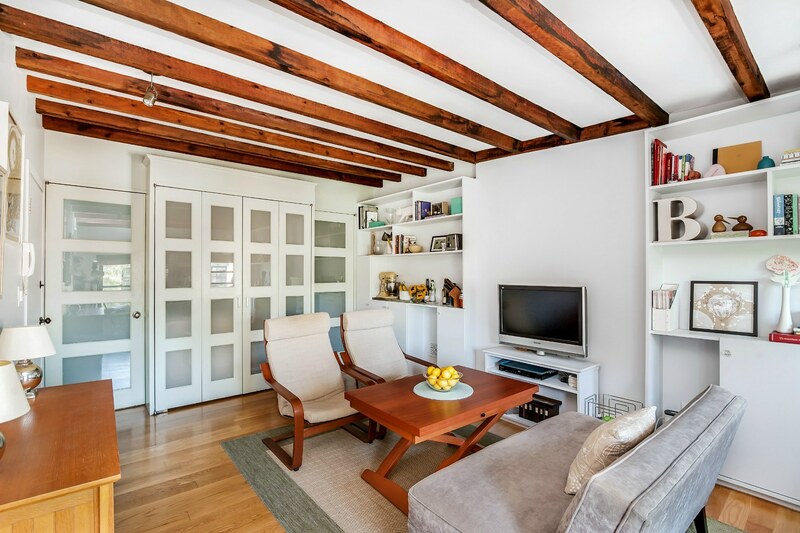 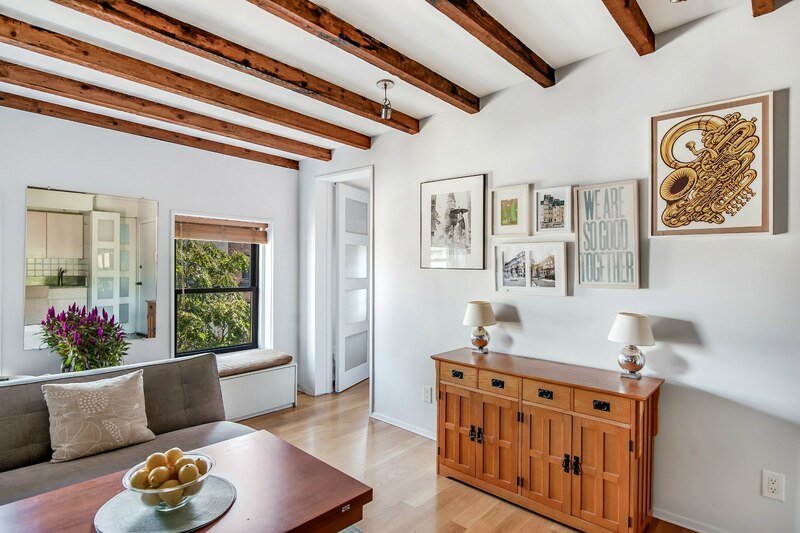 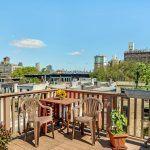 Tucked into one of the gorgeous century-old townhouses on a center Slope block just a stone’s throw from Prospect Park, this fourth-floor co-op at 53 Montgomery Place is a cozy cabin of a penthouse walk-up, complete with a private roof deck offering killer city views. 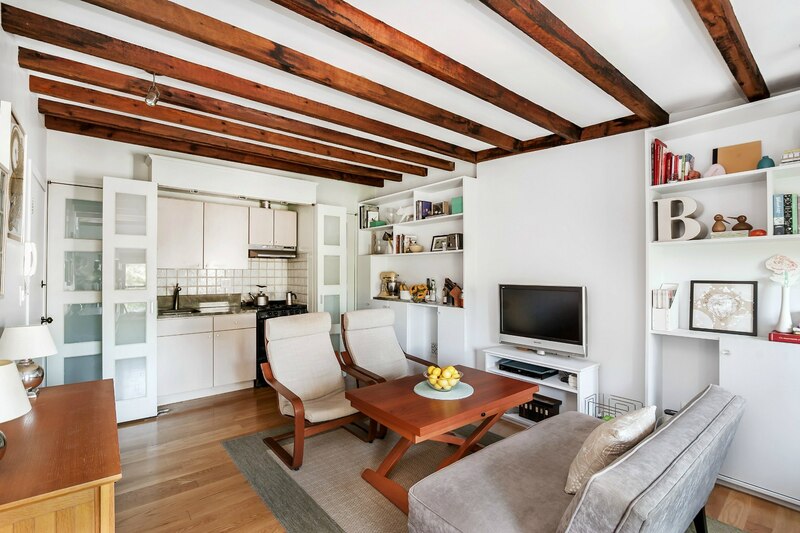 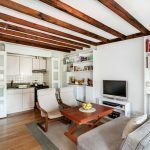 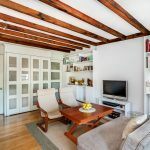 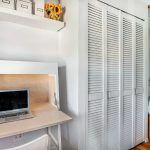 While this one-bedroom apartment is indeed cozy, custom renovations have made the space a versatile and charming home. 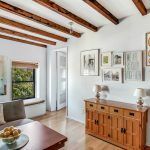 While there’s no elevator, you’ll enjoy plenty of peace and quiet on the top floor, and fabulous views are a bonus (as are exposed wood beams). 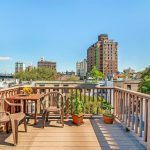 The prime Park Slope location puts you near the restaurants, shops and cafes of 7th Avenue and the surrounding area, close to subways and, as mentioned, a few doors from the park. 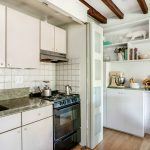 The renovated kitchen is cleverly and elegantly disguised behind back-lit doors to give the effect of a sleeker living and dining space. 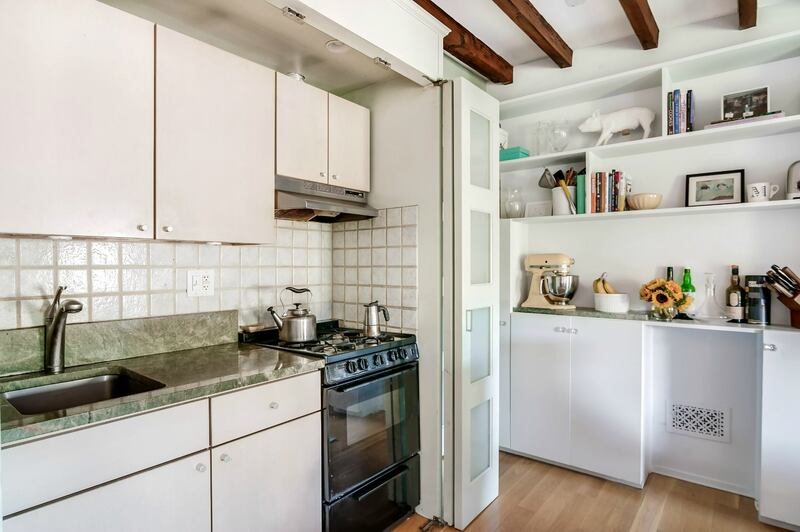 Though not shown, the home’s skylit bathroom gets the same treatment. 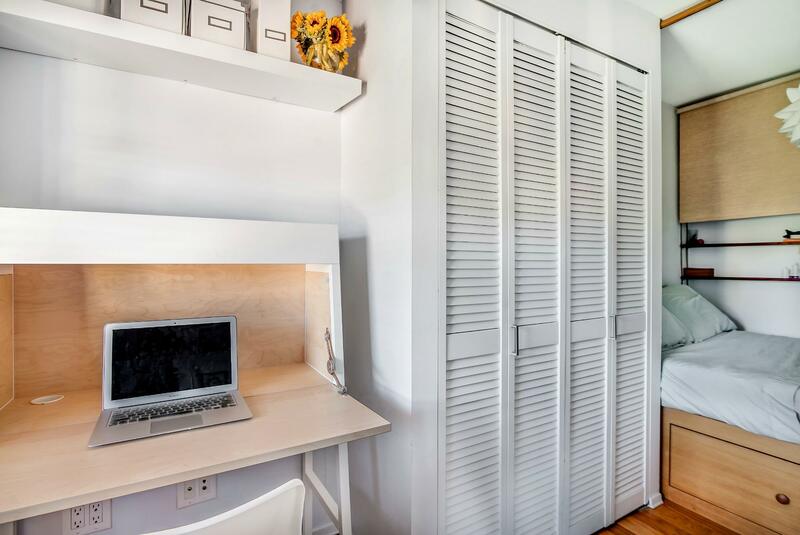 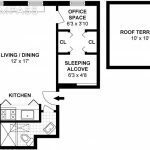 Sleeping quarters hold a tidy office nook and equally clever bed/storage area, plus substantial closet space. 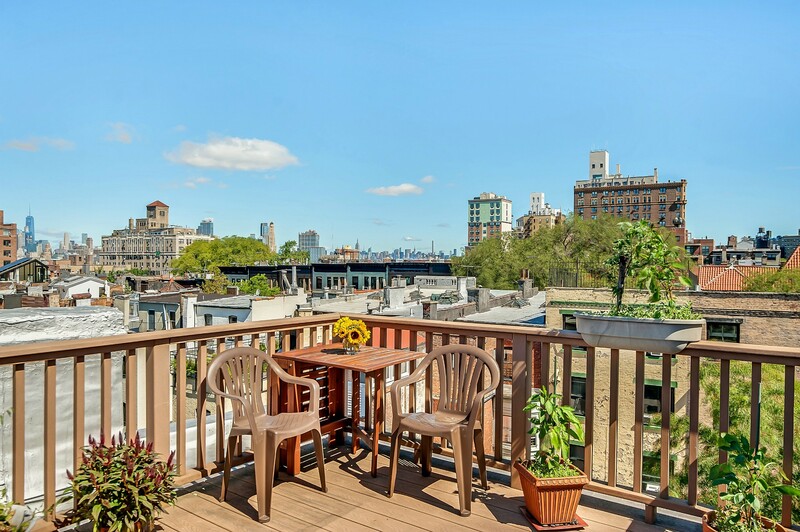 A private roof deck is a great sunny spot for coffee and reflection, gardening and gathering.